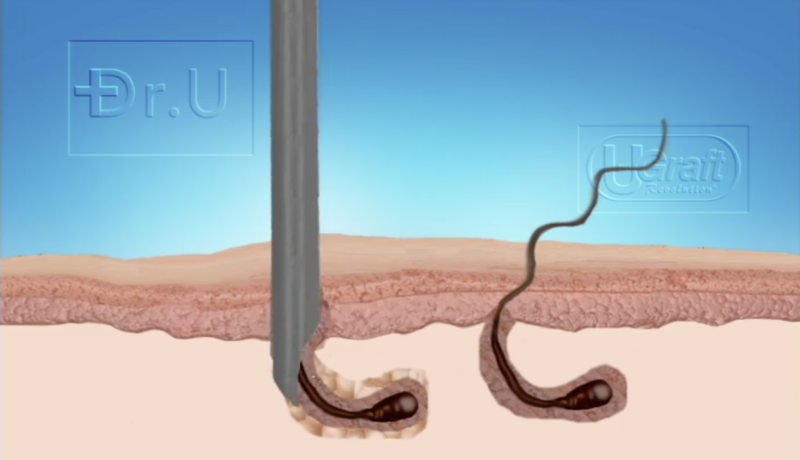 The Dr.UGraft™ linear scar free hair surgery avoids imparting a linear scar like the ones a conventional strip surgery would leave the patient with. 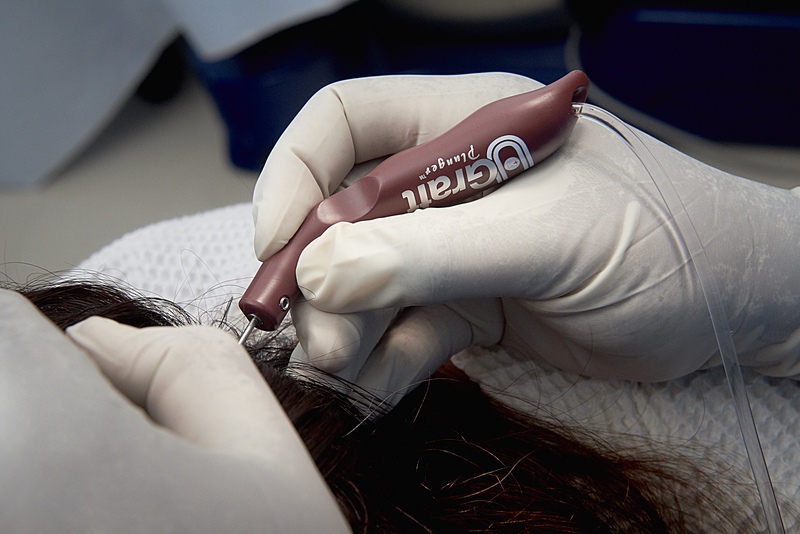 Due to its highly advanced engineering, it also produces better-quality grafts. 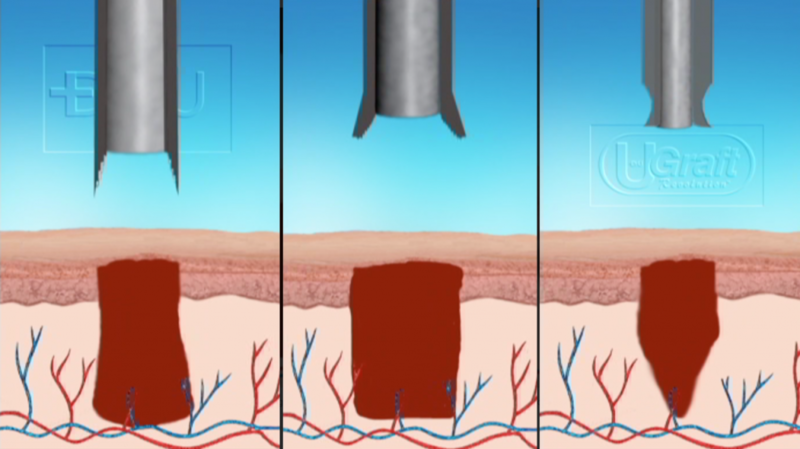 Beyond these benefits, the Dr.UGraft™ rotary devices also improve wound-healing profiles. 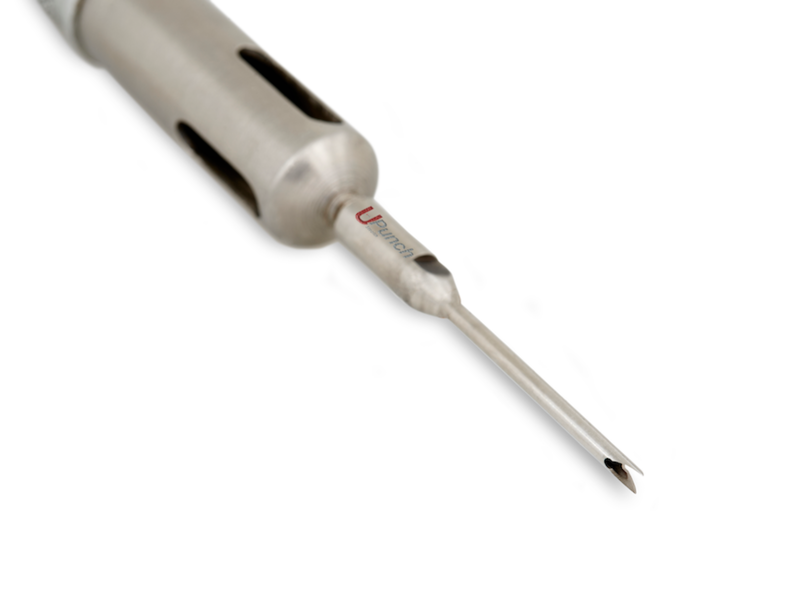 Due to the Dr.UPunch i™’s revolutionary flared tip, the wound cavity created is less everted than those produced by basic rotary punches. Everted wounds heal much more visibly. The resulting less everted wound created by the Dr.UPunch i™ typically heals smaller and flatter. For patients worried about the cosmetic impact of hair restoration procedures on their donor area, this is a critical factor. 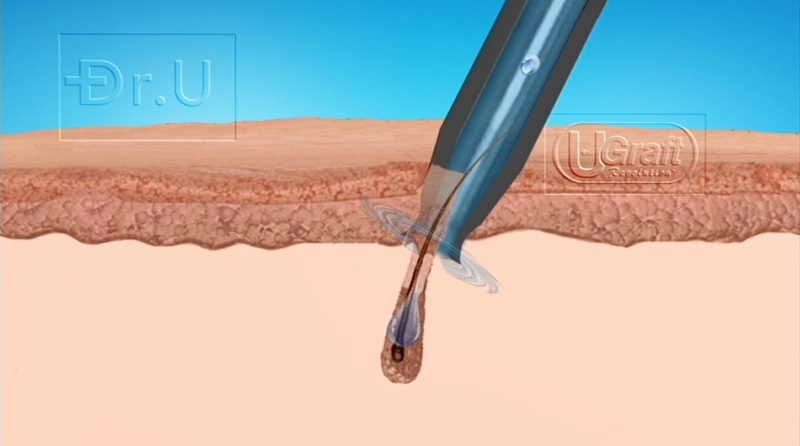 Many basic tools for FUE procedures grapple with accommodating a scored graft once it is inside the lumen. 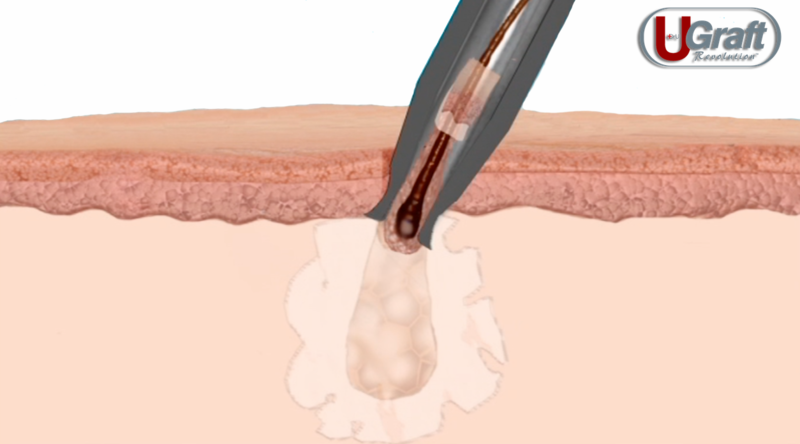 A bulky graft can become stuck or impacted inside the punch while it is still attached to the skin. Once this happens, torsion typically kills the graft. 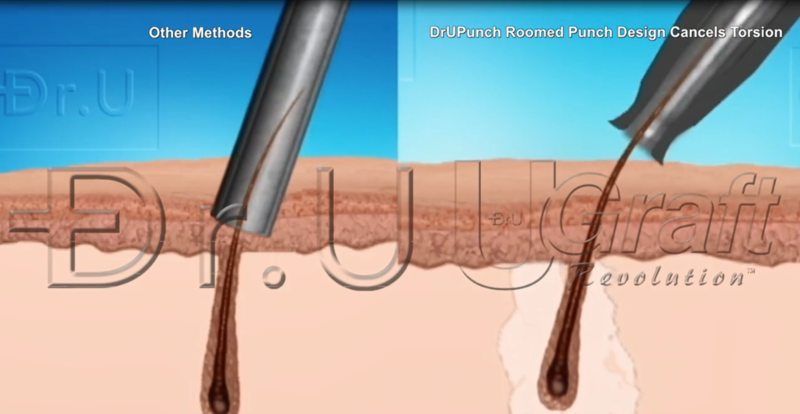 This one-of-a-kind flared punch design is one of the foremost reasons that the Dr.UGraft™ system is the best choice for both new and experienced practitioners. 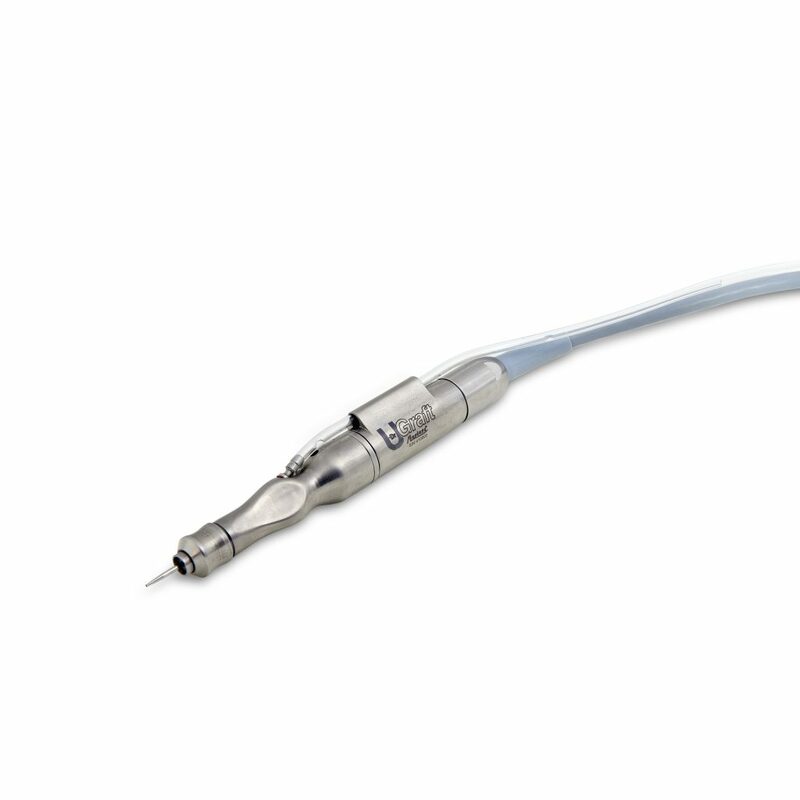 Can I use the Dr.UPunch i ™ with my own handpiece? 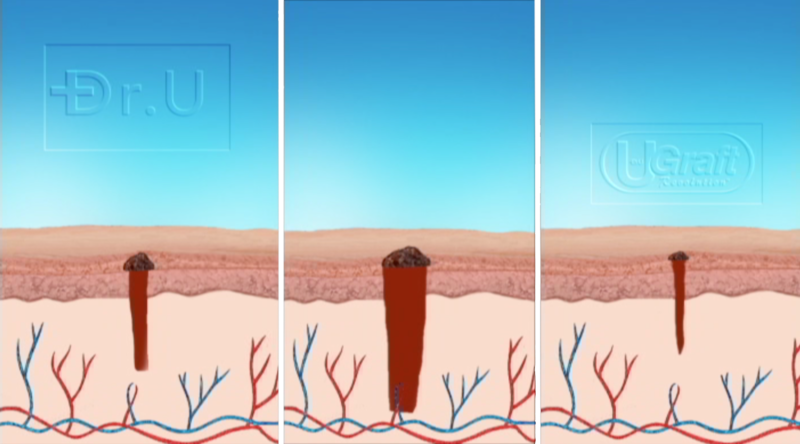 Doesn’t the flared tip of the Dr. UPunch i ™ create bigger wounds in the donor area? 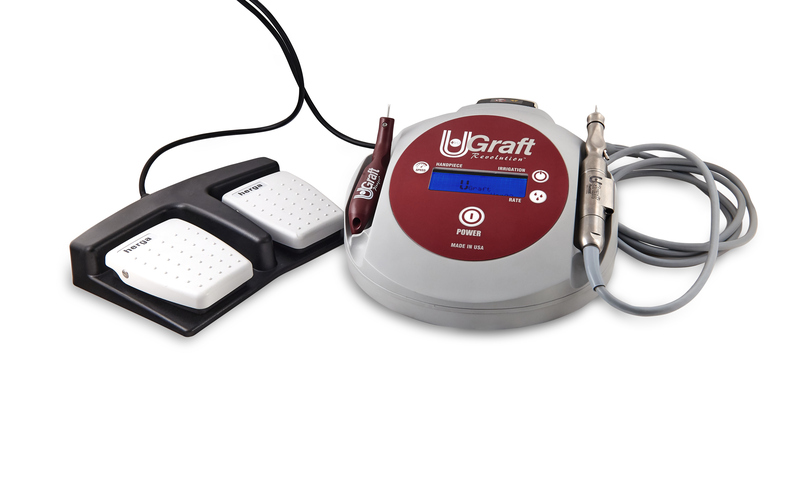 Click here to learn how Dr.UGraft™ overcomes common angulation issues in hair transplants.